Bursa transfer Premier League telah ditutup pada Kamis (9/8) kemarin. 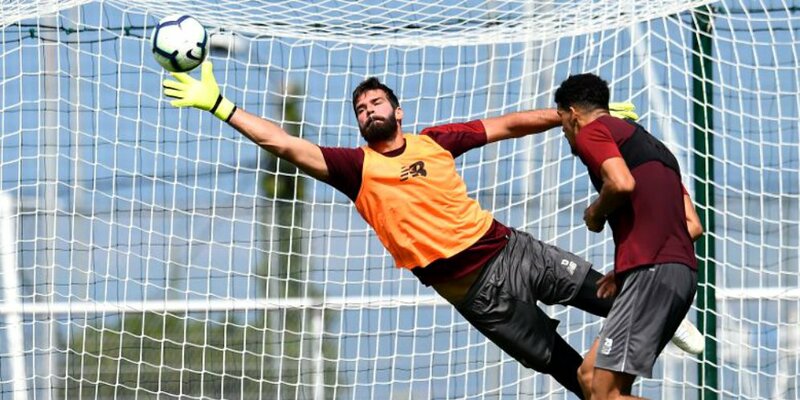 Beberapa klub menuntaskan transfer di detik-detik terakhir, seperti Everton yang mendatangkan Yery Mina dan Andre Gomes. 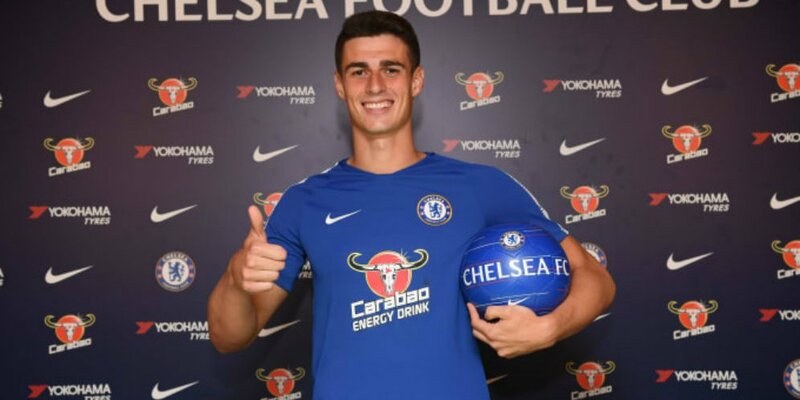 Untuk pertama kalilnya, Premier League memajukan tenggat waktu jeda transfer, yang biasanya sampai akhir Agustus dimajukan ke 9 Agustus kemarin. Federasi sepak bola Inggris membuat keputusan ini dengan maksud menciptakan persaingan yang sehat. FA ingin jeda transfer berakhir sebelum liga dimulai. Sebagaimana diketahui, Premier League akan dimulai pada Sabtu (11/8) dini hari WIB besok. Peraturan ini sebenarnya seperti dua sisi koin. Di satu sisi, kompetisi Premier League jadi lebih sehat karena tak ada pemain yang tiba ketika liga sudah dimulai. 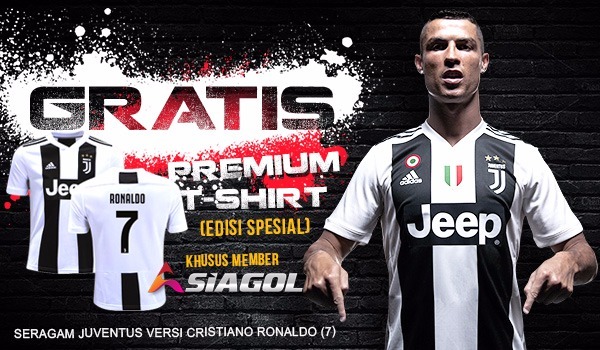 Di sisi lain, beberapa klub kesulitan mendatangkan pemain karena waktu yang terlalu singkat. Bahkan Tottenham Hotspur tak mendatangkan satu pemain pun. Menukil skysports, untuk melihat lebih lengkap aktivitas transfer musim panas tim-tim Premier League 2018-2019, silakan pantau halaman di bawah ini ya Bolaneters! MASUK: Bernd Leno (Bayer Leverkusen, undisclosed), Stephan Lichtsteiner (Juventus, free), Sokratis Papastathopoulos (Borussia Dortmund, unc), Lucas (Sampdoria), Matteo Guendouzi (Loreint, £8m). 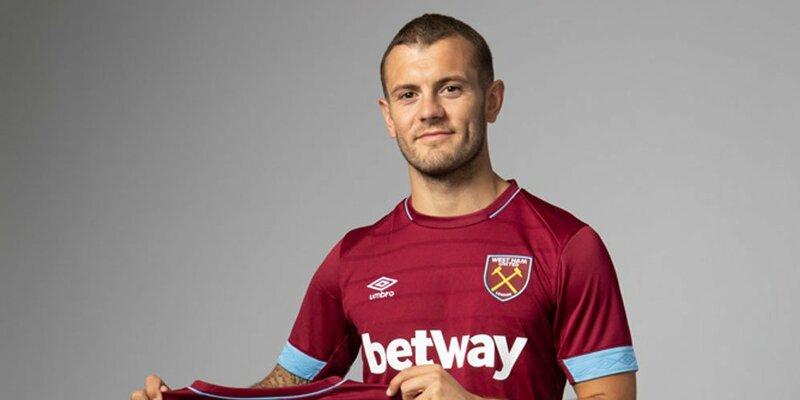 Jack Wilshere (West Ham), Lucas Perez (West Ham), Vlad Dragomir (released), Ryan Huddart (released), Tafari Moore (released), Hugo Keto (Brighton), Chiori Johnson (released), Yassin Fortune (released), Aaron Eyoma (released), Alex Crean (released), Marc Bola (released), Kelechi Nwakali (FC Porto), Jeff Reine-Adelaide (Angers), Matt Macey (Plymouth), Chuba Akpom (PAOOK Salonika), Joao Virginia (Everton), Calum Chambers (Fulham). KELUAR: Benik Afobe (Wolves, £12.5m), Lewis Grabban (Nottingham Forest, undisclosed), Harry Arter (Cardiff, pinjaman), Rhoys Wiggins (pensiun), (Adam Federici – Stoke, undisclosed), Connor Mahoney (Birmingham, pinjaman), (Brad Smith (Seattle Sounders, pinjaman). MASUK: Alireza Jahanbakhsh (AZ Alkmaar, undisclosed), Leon Balogun (Mainz, gratis), Florin Andone (Deportivo La Coruna, undisclosed), Jason Steele (Sunderland, undisclosed), Bernardo Fernandes da Silva Junior (RB Leipzig, undisclosed), (David Button – Fulham, undisclosed), Yves Bissouma (Lille, undisclosed), Percy Tau (Mamelodi Sundowns, undisclosed), Billy Arce (Independiente del Valle, undisclosed), Dan Burn (Wigan, undisclosed), Peter Gwargis (Jonkopings Sodra IF, undisclosed), Martin Montoya (Valencia, undisclosed). KELUAR: Jiri Skalak (Millwall, undisclosed), Sam Baldock (Reading, £5m), Steve Sidwell (released), Liam Rosenior (pensiun), Tim Krul (Norwich, gratis), Niki Maenpaa (released). MASUK: Ben Gibson (Middlesbrough, £15m), Joe Hart (Man City, £3.5m), Matej Vydra (Derby, undisclosed). KELUAR: Scott Arfield (Rangers, free), Dean Marney (released), Josh Ginnelly (Walsall, free), Tom Anderson (Doncaster, free), Rahis Nabi (released), Jordan Barnett (released), Arlen Birch (released), Brad Jackson (released). MASUK: Bobby Reid (Bristol City, undisclosed), Greg Cunningham (Preston, undisclosed), Josh Murphy (Norwich, undisclosed), Alex Smithies (QPR, undisclosed), Victor Camarasa (Real Betis, loan), Harry Arter (Bournemouth, loan). KELUAR: Omar Bogle (Birmingham City, loan), Lee Camp (Birmingham, free). KELUAR: Thibaut Courtois (Real Madrid, £35m), Jay Dasilva (Bristol City, loan), Trevor Chalobah (Ipswich, loan), Reece James (Wigan, loan). Kenedy (Newcastle, loan), Jamal Blackman (Leeds, loan), Lewis Baker (Leeds, loan), Jeremie Boga (Sassuolo, undisclosed), Fikayo Tomori (Derby, loan), Kasey Palmer (Blackburn, loan), Todd Kane (Hull, loan), Mason Mount (Derby, loan). MASUK: Vicente Guaita (Getafe, free), Cheikh Kouyate (West Ham, undisclosed), Max Meyer (free), Jordan Ayew (Swansea, loan). KELUAR: Lee Chung-yong (released), Yohan Cabaye (Al-Nasr, free), Damien Delaney (Cork, free), Bakary Sako (released), Andre Coker (Maidstone, free). MASUK: Yerry Mina (Barcelona, £28.5m), Andre Gomes (Barcelona, loan), Richarlison (Watford, £40m), Lucas Digne (Barcelona, £18m), Bernard (Shakhtar Donetsk, free). KELUAR: Wayne Rooney (DC United, free), Kevin Mirallas (Fiorentina, loan), Ashley Williams (Stoke, loan), Joel Robles (Real Betis, free), Ramiro Funes Mori (Villarreal, undisclosed), Jose Baxter (Oldham, free), Callum Connolly (Wigan, loan). MASUK: Maxime le Marchand (Nice, undisclosed), Jean Michael Seri (Nice, undisclosed), Fabri (Besiktas, undisclosed), Andre Schurrle (Borussia Dortmund, loan), Alfie Mawson (Swansea, £15m), Calum Chambers (Arsenal, loan), Sergio Rico (Sevilla, loan), Joe Bryan (Bristol City, undisclosed), Andre-Frank Zambo Anguissa (Marseille, £22.3m), Luciano Vietto (Atletico Madrid, loan), Timothy Fosu-Mensah (Manchester United, loan). MASUK: Isaac Mbenza (Montpellier, loan), Ben Hamer (Leicester, free), Ramadan Sobhi (Stoke, undisclosed), Terence Kongolo (Monaco, £17.5m), Juninho Bacuna (FC Groningen, undisclosed), Erik Durm (Dortmund, undisclosed), Florent Hadergjonaj (Ingolstadt, £4.5m), Jonas Lossl (Mainz, undisclosed), Adama Diakhaby (Monaco, undisclosed). KELUAR: Tom Ince (Stoke, £12m), Dean Whitehead (retired), Rob Green (Chelsea, free), Scott Malone (Derby, undisclosed), Jordan Williams (Barnsley, undisclosed), Michael Hefele (Nottingham Forest, undisclosed), Sean Scannell (Bradford, undisclosed). MASUK: James Maddison (Norwich, £22m), Ricardo Pereira (Porto, undisclosed), Jonny Evans (West Brom, undisclosed), Danny Ward (Liverpool, £12.5m), Rachid Ghezzal (Monaco, undisclosed), Filip Benkovic (Dinamo Zagreb, £13m), Caglar Soyuncu (Freiburg, £19m). KELUAR: Riyad Mahrez (Manchester City, £60m), Ben Hamer (Huddersfield, free), Ahmed Musa (Al-Nassr, undisclosed), Robert Huth (released), Harvey Barnes (West Brom, loan), Connor Wood (Bradford, undisclosed), Sammie McCleod (released), Cameron Yates (released). MASUK: Naby Keita (Leipzig, £52.75m), Fabinho (Monaco, £43.7m), Xherdan Shaqiri (Stoke, £13.5m), Alisson Becker (Roma, £67m), Isaac Christie-Davies (Chelsea, free). KELUAR: Emre Can (Juventus, free), Ovie Ejaria (Rangers, loan), Jon Flanagan (Rangers, free), Danny Ward (Leicester, £12.5m), Ryan Kent (Rangers, loan), Adam Bodgan (Hibs, loan), Harry Wilson (Derby, loan), Ben Woodburn (Sheffield United, loan). MASUK: Riyad Mahrez (Leicester, £60m), Claudio Gomes (PSG, free), Philippe Sandler (PEC Zwolle, undisclosed), Daniel Arzani (Melbourne City, undisclosed). KELUAR: Joe Hart (Burnley, £3.5m), Angus Gunn (Southampton, undisclosed), Yaya Toure (released), Pablo Maffeo (Stuttgart, undisclosed), Rodney Kongolo (Heerenveen, £750,000), Javairo Dilrosun (Hertha Berlin, £200,000), Brandon Barker (Preston, loan). MASUK: Fred (Shakhtar Donetsk, undisclosed), Diogo Dalot (Porto, undisclosed), Lee Grant (Stoke, undisclosed). KELUAR: Michael Carrick (retired), Daley Blind (Ajax, £14.1m), Sam Johnstone (West Brom, £5m), Axel Tuanzebe (Aston Villa, loan), Timothy Fosu-Mensah (Fulham, loan), Dean Henderson (Sheffield United, loan), Joel Pereira (Vitoria Setubal, loan). MASUK: Martin Dubravka (Sparta Prague, undisclosed), Ki Sung-yueng (Swansea, free), Kenedy (Chelsea, loan), Fabian Schar (Deportivo, £3m), Yoshinori Muto (Mainz, undisclosed), Salomon Rondon (West Brom, loan), Federico Fernandez (Swansea, £6m). KELUAR: Chancel Mbemba (Schalke, undisclosed), Matz Sels (Strasbourg, £3.5m), Adam Armstrong (Blackburn, £1.75m), Ivan Toney (Peterborough, undisclosed), Mikel Merino (Real Sociedad – undisclosed), Jack Colback (Nottingham Forest, loan). MASUK: Stuart Armstrong (Celtic, £7m), Mohamed Elyounoussi (Basel, £16m), Angus Gunn (Manchester City, undisclosed), Jannik Vestergaard (Borussia Monchengladbach, £18m). KELUAR: Dusan Tadic (Ajax, £15m), Jordy Clasie (Feyenoord, loan), Guido Carrillo (Leganes, loan), Sofiane Boufal (Celta Vigo, loan), Jeremy Pied (released), Florin Gardos (Universitatae Craiova, free). KELUAR: Keanan Bennetts (Borussia Monchengladbach, undisclosed), Joel Pritchard (Bolton, free), Christian Maghoma (Arka Gdynia, free), Ryan Loft (free), Luke O’Reilly (free), Nick Tsaroulla (free), Anton Walkes (Portsmouth, undisclosed). MASUK: Marc Navarro (Espanyol, undisclosed), Gerard Deulofeu (Barcelona, £11.5m), Ben Foster (West Brom, undisclosed), Ken Sema (Ostersunds, undisclosed), Adam Masina (Bologna, £3.5m), Domingos Quina (West Ham, undisclosed). KELUAR: Richarlison (Everton, £40m), Costel Pantilimon (Nottingham Forest, undisclosed), Tommie Hoban (Aberdeen, loan), Nordin Amrabat (Al-Nassr, undisclosed), Mauro Zarate (Boca Juniors, undisclosed). 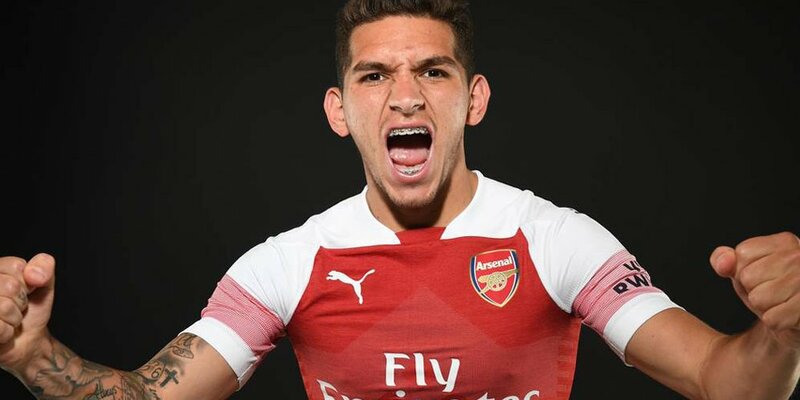 MASUK: Lucas Perez (Arsenal, £4m), Felipe Anderson (Lazio, £35m), Andriy Yarmolenko (Borussia Dortmund, £17.5m), Jack Wilshere (Free), Ryan Fredericks (Fulham, free), Lukasz Fabianski (Swansea City, £7m), Carlos Sanchez (Fiorentina, undisclosed), Fabian Balbuena (Corinthians, undisclosed), Issa Diop (Toulouse, £21.9m), Xande Silva (Vitoria de Guimaraes, undisclosed). KELUAR: James Collins (released), Patrice Evra (released), Cheikh Kouyate (Crystal Palace, undisclosed), Sead Haksabanovic (Malaga, loan), Jordan Hugill (Middlesbrough, loan), Domingos Quina (Watford, undisclosed), Korrey Henry (Yeovil, free). MASUK: Adama Traore (Middlesbrough, £18m), Rui Patricio (Sporting Lisbon, undisclosed), Benik Afobe (Bournemouth, £12.5m), Willy Boly (Porto, £10m), Raul Jimenez (Benfica, loan), Diogo Jota (Atletico Madrid, £12.6m), Leo Bonatini (Al-Hilal, undisclosed), Ruben Vinagre (Monaco, undisclosed), Roderick Miranda (Olympiakos, loan), Joao Moutinho (Monaco, undisclosed), Jonny Castro (Atletico Madrid, loan), Leander Dendoncker (Anderlecht, loan). KELUAR: Barry Douglas (Leeds, undisclosed), Benik Afobe (Stoke, loan), Carl Ikeme (retired), Prince Oniangue (Caen, undisclosed), Aaron Collins (Colchester, loan), Harry Burgoyne (Plymouth, loan), Sherwin Seedorf (Bradford, loan).